Just last week on Civil Eats I posted this article about the latest industry attempt to keep us in the dark about whether or not we're eating genetically modified organisms (better known as GMOs). 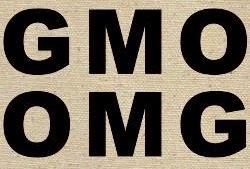 Since this posting Vermont has passed their GMO labeling bill and over 30 states have legislation in the works including California. As a person who prioritizes organic foods whenever I eat and shop, I'm dismayed to know that GMOs are still finding their way into my home and body via prepared foods and especially gluten-free choices. Are they in yours? Probably: The Coalition for Safe and Affordable Food, Big Ag's latest group created to squash GMO labeling efforts (among other things), says that GMOs are in 80% of the foods found in our stores. Only 7% of the population in this country doesn't care about whether or not they are labelled. It's time that our voices - the voices of the 93% - are heard. Please join me in telling the FDA that you agree that we have the right to know what's in our food by signing two online petitions both here and here. Thank you for taking action! We have a right to know what's in our food. Big Ag and Big Corporate America is killing us all off as it is. Hydrogenated oils? All the garbage and chemicals in our food no freaking wonder there is so much obesity, so many dying of cancer and other diseases. STOP this insane practice all for the mighty buck. Oh and not surprising that he evil dastardly Koch brothers are involved?